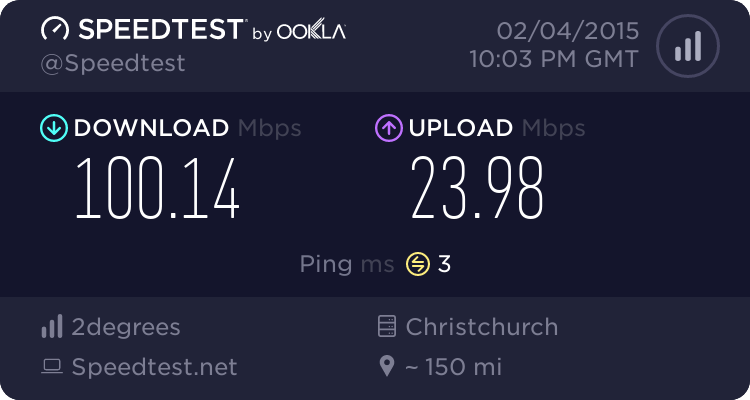 [Snap] Youtube buffering really bad despite getting "full speed"
Forums › 2degrees › [Snap] Youtube buffering really bad despite getting "full speed"
I've been having and issue with Youtube for some time now (ever since I went from VDSL > Fibre). At first it was great and I was watching at 720p always, then it would start going 480p on some videos...and now I'm buffering at 240p on a 100/20 connection. Manually selecting 480p takes forever to load the video, and 720p just gets stuck on loading. My speedtests are fine and it seems to be only Youtube that's affected...which means it's probably not a Snap issue? I have seen the Youtube chart which shows Snap as being Standard Definition only which disappointed me a little, but as long as I was getting at least 480p I wasn't too worried...240p however is getting on my nerves. The same thing is happening on all my devices - desktop (which is on cable), laptop and tablet (on wireless) but as said, seems to be limited to Youtube. Is anyone else having similar issues and have resolved it? Perhaps I should change DNS servers? Have tried the Google DNS but not much improvement. 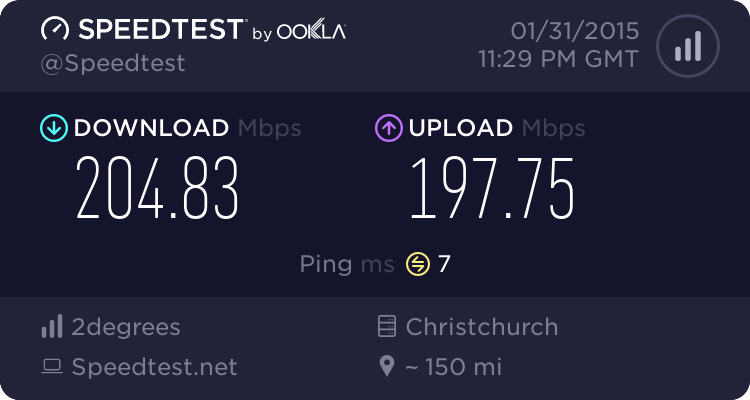 Just for reference Youtube works fine for my occasional viewing on Snap fiber in Wellington. I can watch in any quality I like. Right lets test this with Taylor Swift, because she is epic. I love my Snap 200/200 plan. Is there a possibility your upload might be getting saturated? I've never had a problem with it. I think i got the same problems, youtube buffering worse than before. FYI, i am on fiber with different ISP. Are you running with IPv6 enabled by any chance? If so, try to disable it (it will be in your fritz box settings) and see if that helps... it made a big difference for me! Can you do test for us, if you have Google Chrome installed can you play a video and open the Development Tools (Tools Menu, More Tools, Development Tools) click on network and then paste back here which URL the video is pulling its content from? Can you then ping that URL from your computer and paste what IP Address this comes back as? Can you also post your location. we want to make sure that you are being served from correct regional cache on our network. You should actually not have any issue playing 4k from any of our regional nodes, but we have occasionally seen some content come from incorrect nodes from far away overseas. I've done the above, though I'm not sure which URL to ping? I pasted the whole thing below... I tried pinging only the https://r15---sn-ntq76n7z.googlevideo.com/ part through cmd but it says "Ping request could not find host https://r15---sn-ntq76n7z.googlevideo.com. Please check the name and try again." And make sure you are not testing over WiFi. Odd - they told me they turned my IPV6 off last time (when I had a different issue). Have turned it off myself again now. Am I supposed to click that?